600 pages | 795 B/W Illus. In the nearly 10 years since the publication of the bestselling first edition of Introduction to Green Chemistry, interest in green chemistry and clean processes has grown so much that topics, such as fluorous biphasic catalysis, metal organic frameworks, and process intensification, barely mentioned in the first edition, have become major areas of research. In addition, government funding has ramped up the development of fuel cells and biofuels. It reflects the evolving focus from pollution remediation to pollution prevention. Copiously illustrated with over 800 figures, this second edition provides an update from the frontiers of the field. 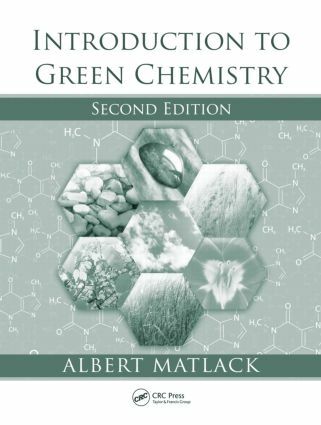 The book covers traditional green chemistry topics, including catalysis, benign solvents, and alternative feedstocks. It also discusses relevant but less frequently covered topics with chapters such as Chemistry of Longer Wear and Population and the Environment. This coverage highlights the importance of chemistry to everyday life and demonstrates the benefits the expanded exploitation of green chemistry can have for society.